The 11th Chennai Open International Grandmaster Chess tournament 2019 for Sakthi Group Dr N Mahalingam Trophy was inaugurated by a ceremonial first move between International Master Manuel Aaron and top seed Grandmaster Alexandr Predke of Russia at Novotel IBIS OMR Hotel, Chennai yesterday. The ten round Swiss tournament carries a prize fund of Rs 15 lakhs, with the winner taking a handsome trophy along with a cash award of Rs. 3 lakhs. Twenty Grandmasters and twenty-eight International Masters add to the line up of 65 titled players among 286 players. The tournament concludes on 25th January, 2019. 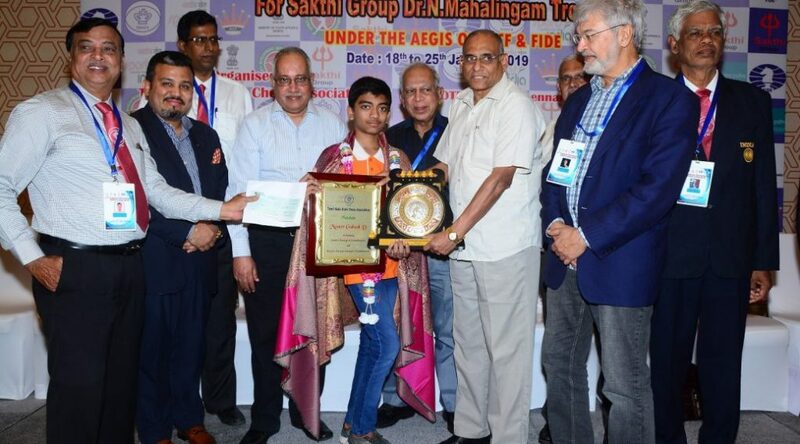 Earlier, the inauguration was preceded by a felicitation for the achievement of second youngest Grandmaster in world by 12 year old Chennai boy D Gukesh. 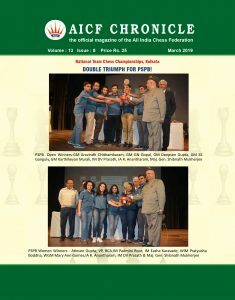 Speaking on the occasion, Shri D V Sundar, Vice President FIDE & AICF said, “This boy is bound to go far, bringing more laurels to himself and the country”. Mr S Kailasanathan, CEO of Microsense felicitated GM Elect Gukesh, “We could see the talent in the child and we too happy to be of support to him during his great achievement”. M/s Microsense gave a cash award of Rs. 100000 (Rupees One Lakh only) to the young achiever. A cash award of Rs 30000 (Rupees thirty thousand only) was awarded to Master Gukesh on behalf of TNSCA. Also present in the dais were, International Master Manuel Aaron, the Chief Guest, Shri P Stephen Balasamy, Gen. Secretary, TNSCA, Shri B Murugavel, Organising Secretary, Shri Rohan, General Manager, Novotel IBIS OMR Hotel, Shri V Hariharan, former Secretary AICF & TNSCA.